Wire hooks are curved devices made of metallic strands and utilized for a number of purposes. Ubiquitous in manufacturing, commercial and domestic applications, hooks are available in a wide range of configurations. Wire Hooks – Acme Wire Products Co., Inc.
S-hooks, J-hooks and C-hooks are so named for their appearance while other variations of hooks, including gate hooks, fish hooks, rope binding hooks and others are named in relation to their intended purpose. 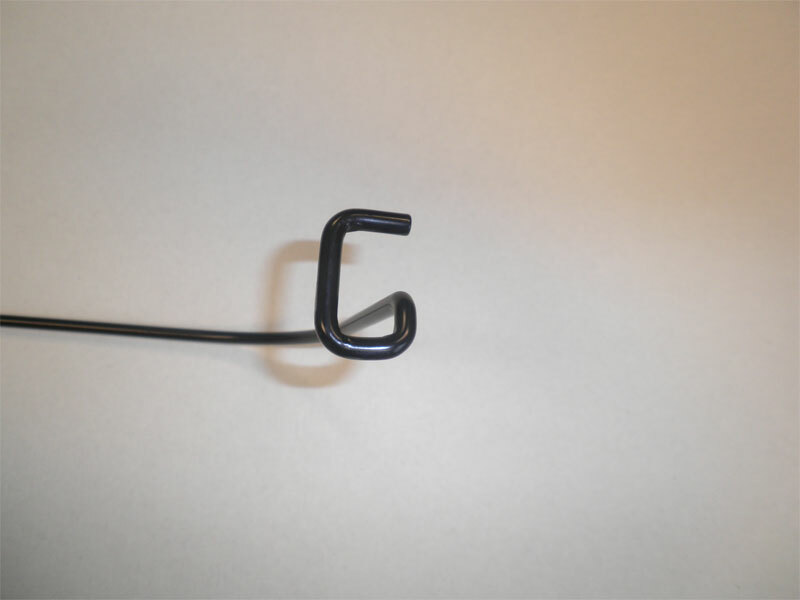 These versatile items known as wire hooks are frequently used by industries including plumbing, hardware, parts manufacturing, fishing, design and several others. The style of hook selected is largely dependent upon its intended use. Hooks made for wire displays are often ornamental and are skillfully designed. Clothing, hats and even food items are organized and presented on such hooks which may be attached to the wall or otherwise suspended. Though commonly used to this extent, wire hooks are also popular as fastening devices. Specially designed screw hooks are often attached to one surface with a loop secured to an adjacent edge. When connected, a secure closure is formed. As types and uses for hooks abound, several factors must be taken into consideration prior to selection. The shape of a hook is crucial as it determines the particular way in which a hook may be used. S-hooks, for example, are more apt to fastening than C-hooks. Material, size, weight, wire density and finishing should also be considered. While wire hooks are extremely variable, all begin with a similar wire forming process. Before wire hooks can be produced, wire must be carefully manufactured to regulated specifications. The first step in making a hook therefore is to force stock metal through a series of dies which get progressively smaller until the resulting strand has been whittled down to the proper diameter. Aluminum, copper, steel, brass and stainless steel are common metals used in wire production. These metals offer the tensile strength necessary for the aforementioned uses of wire hooks. Once the wire is formed it may be heat treated, quenched or tempered as needed, though this step can also be completed as a finishing process. Wires are then cut to the desired length before being bent, stamped or pressed into shape. Though some manufacturers accomplish these steps manually, CNC machining is often used to promote precision and uniformity. Secondary processes such as painting, coating, plating, galvanizing and threaded occur at this point if needed or desired The manufacturing and finishing processes are vital to hook performance as they have a significant impact on the physical and mechanical properties of the device. For decorative purposes these factors also affect the aesthetics of a hook.